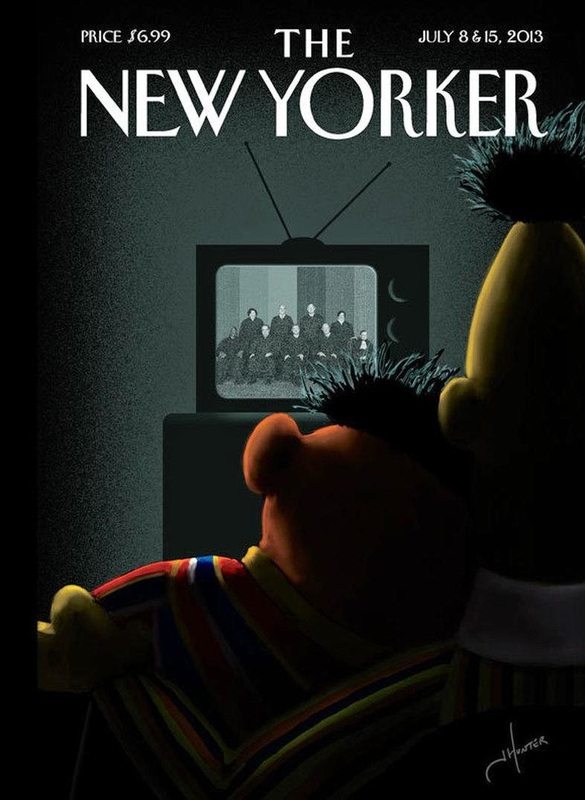 I don't think that in any way shape or form that when the originators of Sesame Street came up with Bert & Ernie that they intended them to be a Gay couple. I think that the idea has and should remain that they are an example of how two different personality types can get along and be best friends. Sesame Street is right to maintain that stance. Having said that; this is a pretty clever piece of artwork here.